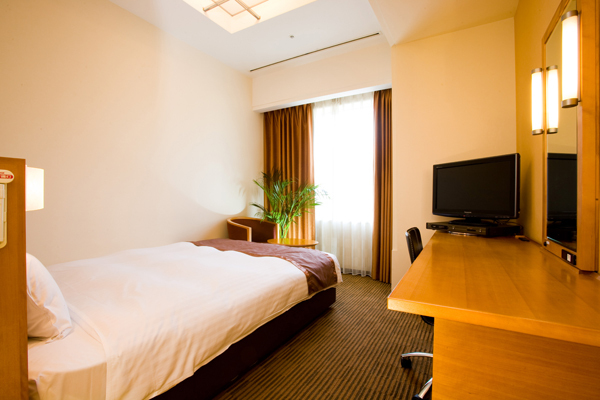 Nestled in the heart of Osaka, KKR Hotel Umeda is offered comfortable accommodations at reasonable prices. 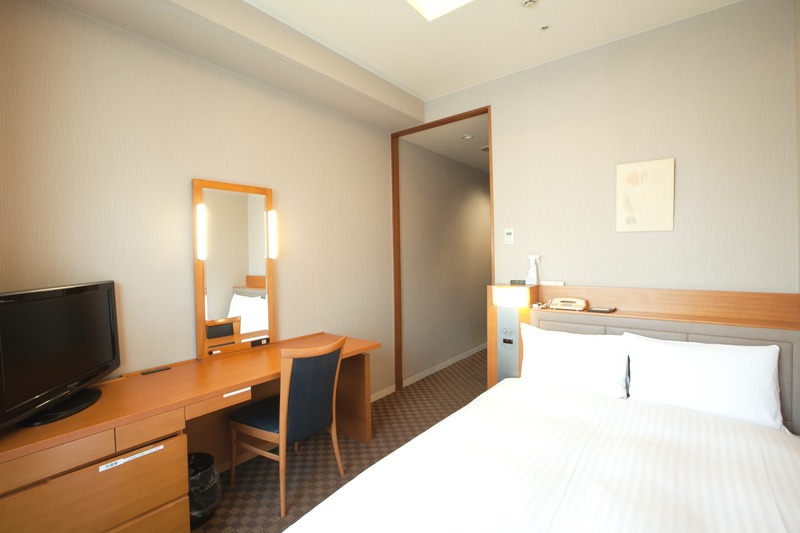 From JR Osaka Station, it takes 8 minutes on foot through the underground shopping arcade, “Whity Umeda.” In addition, a 24-hour convenience store is located next to the hotel. This area is also great for sampling some of Osaka’s famous product, such as “Okonomiyaki”. Yodobashi Camera, a large-scale electronics retail store, is 10 min away by foot. This location is certainly convenient for any guest. Accommodations include 93 guest rooms and a TULLY'S Coffee on the first floor. Each floor has vending machines offering various beverages. 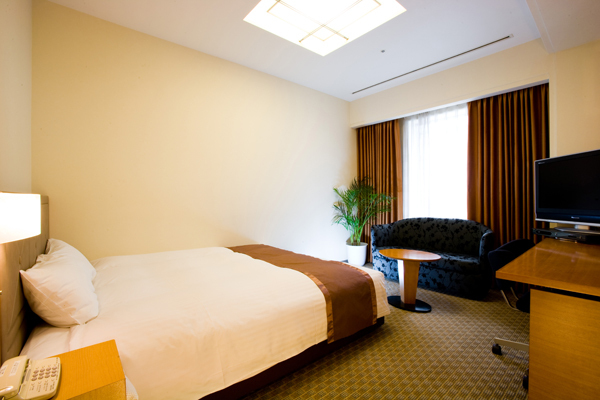 All guest rooms are furnished with bath tubs, showers and western-style toilets. High-speed internet is also available for free. 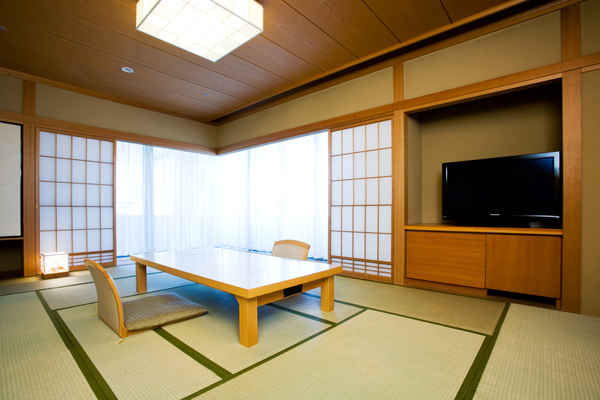 Traditional Japanese-style rooms with straw-mat floors are available on the 8th floor. 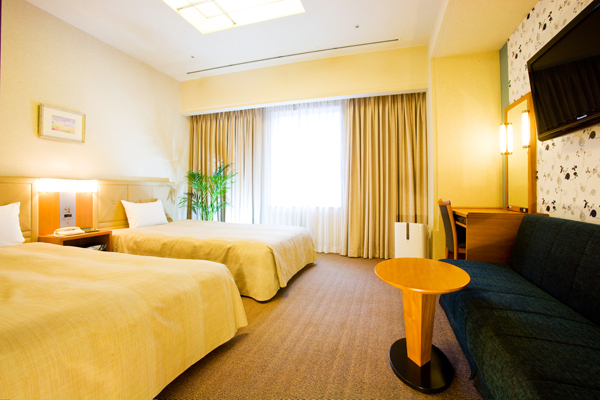 Double-bedded rooms include Serta mattresses, commonly seen in 5 star hotels in America, which offer a more comfortable night’s sleep. 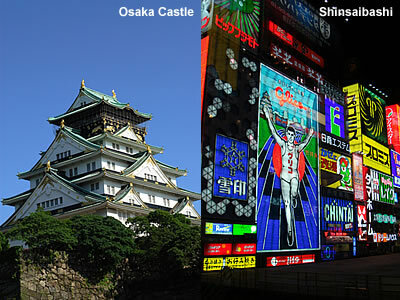 Kobe&KyotoTraditional places such as Osaka castle are easily accessible by subway Higashi Umeda station,a 5 minute walk from the hotel. To Kyoto,it takes a 30 minute by train .The historical center of Japan, and Kobe, a port town with a beautiful night view. ·Only Japanese yen and credit cards are accepted as payment. ·Payment shall be made before check-in. 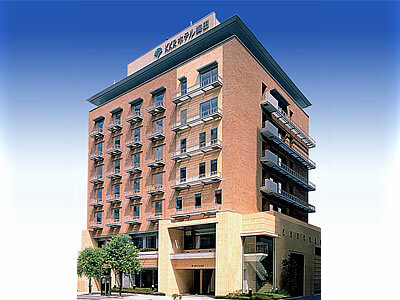 ·No foreign currency exchange is available at the hotel. 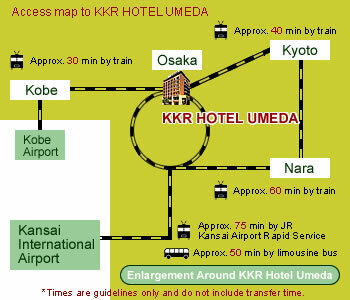 © 2019 KKR HOTEL UMEDA All rights reserved.